August Prager Stanhope for "Picture Bow"
August Prager "picture-bow" Stanhope Lens replacement. 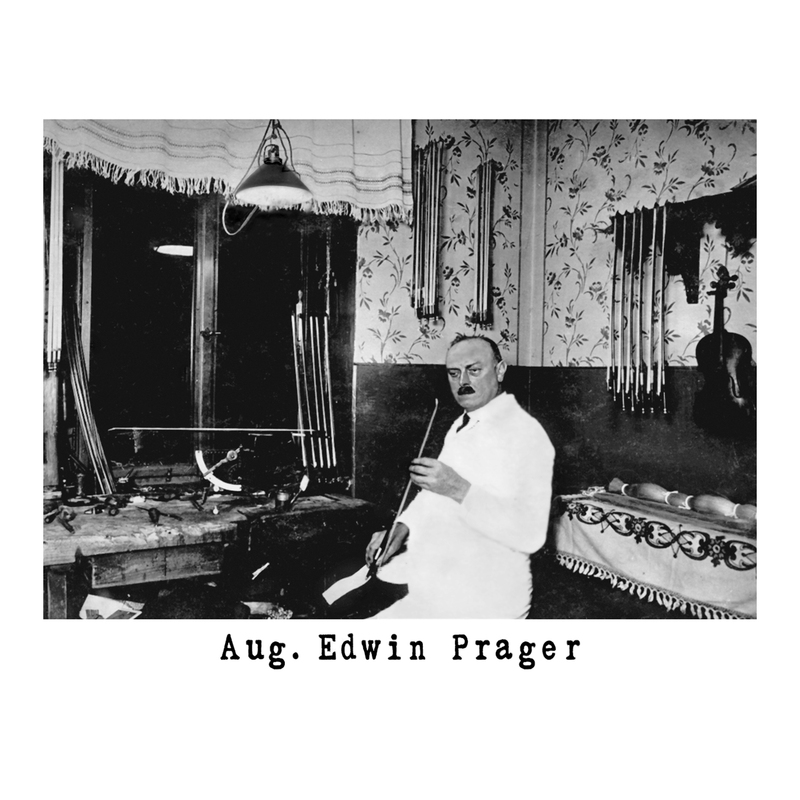 Features the usual image of German Master bow-maker August Edwin Prager in his Markneukirchen workshop. 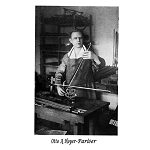 Prager is seated at his workbench and holding one of his bows. 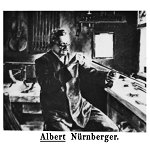 The font is an exact reproduction of that found in the original Prager bows. 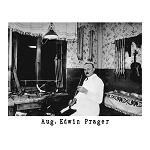 It reads "Aug. Edwin Prager". This stanhope is accurate in every way and imperceptible as a replacement, even to an accredited expert. 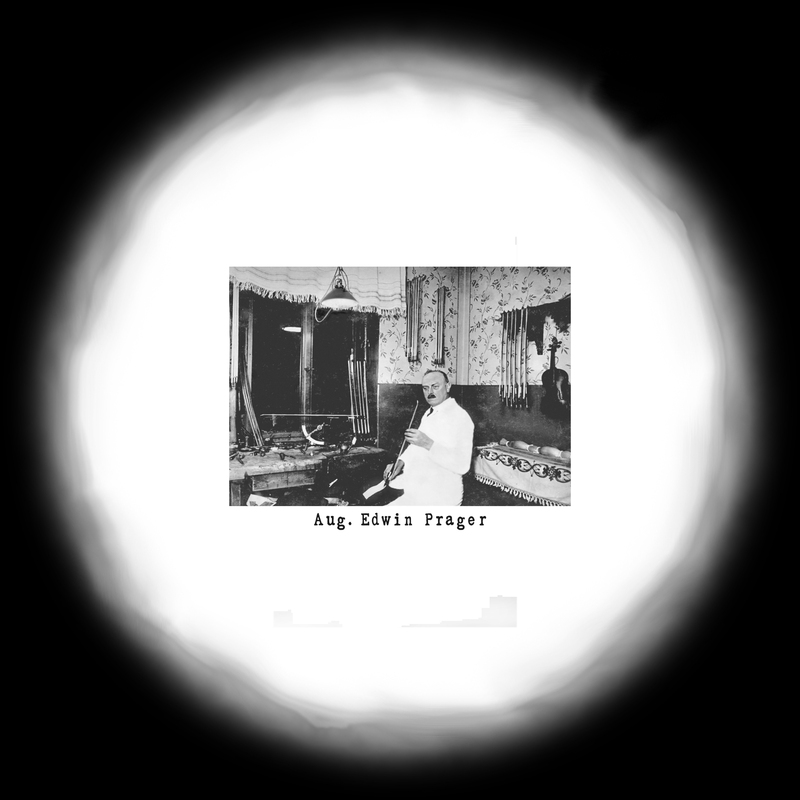 This lens will restore the value to a missing lens in a Prager picture-bow as such bows are devalued by nearly half when the lens is missing. 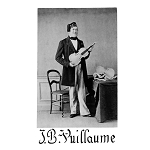 The dimensions of this lens are 3mm diameter by 7.5mm long. Most of the Prager bows require lenses of a diameter of about 2.6mm-2.7mm. You can have the lens made to this or any other smaller diameter for an extra charge. It is also possible to have the lens made slightly shorter upon request. To ascertain the proper size needed for restoration, slide drill bits through the hole in the frog increasing the diameter of the bit until you reach a bit which will no longer pass through. The last drill bit which will fit is the proper diameter to have your replacement lens made. Select that diameter from the drop-down list when ordering. We are specialists at restoring Prager and other German and French bows with stanhopes. Please contact us for more information or to schedule a restoration today.